Without an actual crystal ball, New York Fashion Week is as close as it gets to a sneak peek into the future of fashion. And, after this year’s NYFW came to a close, all we can say is: the future is looking bright. 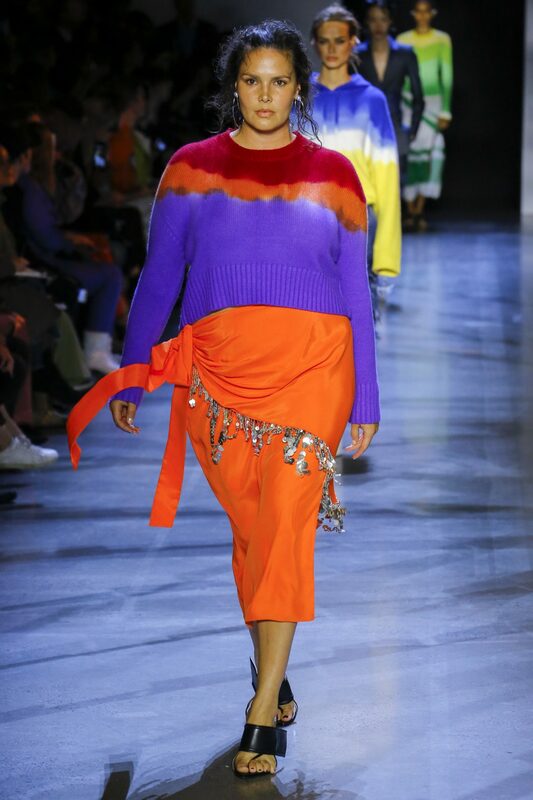 But, we’re not just talking about how Prabal Gurung turned the runway into a rainbow or all the technicolor raincoats from ADEAM. This year, NYFW got its groove back and came in with a collection of fresh, salient styles that quickly sparked our outfit imaginations. From vivid colors to laid-back luxe, the Spring ‘19 collections from NYFW nothing short of exciting and inspiring. As we look ahead to the styles sure to grace the streets in the next six months, here are the six most pervasive trends we love for Spring 2019. 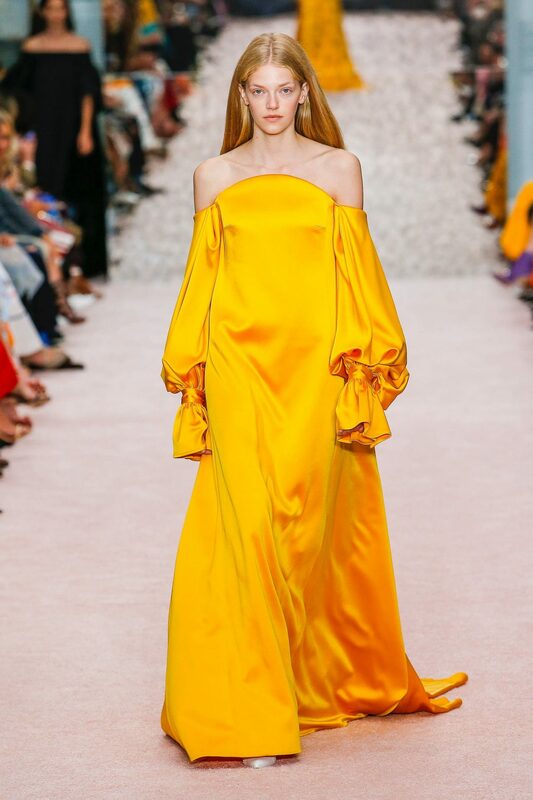 Every season, there’s one color that designers unanimously deem “the one.” This year, the catwalk was swathed in sunny, saturated hues of yellow, accompanied by Pantone’s ‘Aspen Gold.’ If you’ve ever thought you weren’t one to pull off this vibrant hue, the varieties from the runway prove that this shade has a style for everyone. For yet another season, stylish suits swathed the catwalk at NYFW. In a variety of styles, colors and prints, the ensembles showed off suits with reimagined and deconstructed silhouettes. From Oscar de la Renta’s iteration that unraveled into swingy fringe to separates that fashioned sleek, shiny fabrics from Tom Ford, Hellessy and Matthew Adams Dolan—it’s safe to say this is a style we’re on board with. Thanks to this trend from 2019’s Spring Collections, planning your outfits has never been easier. With a mix between color blocking and color coordinating styles, these full-on outfits came in every shade pairing imaginable. No matter which way you choose to fashion these this spring, one thing is for sure: this style isn’t for the color-averse. Overall, these looks consisted of some high-voltage pairings. 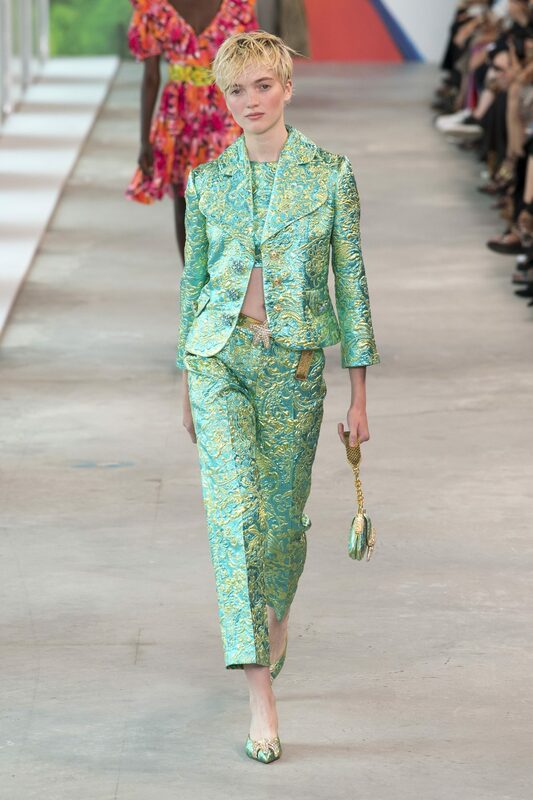 From Prabal Gurung to Escada and Marc Jacobs, designers clearly turned up the colors on these Spring collections. 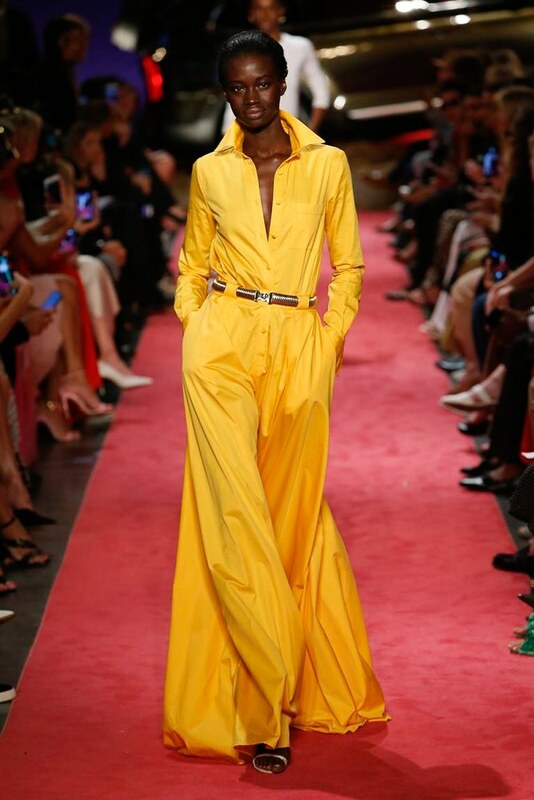 Through color pairing from head-to-toe, designer collections by Kate Spade and Christian Siriano displayed effortless coordination across the entire look – all the way down to the accessories. In tandem with the color trend, you’d be hard pressed to find a fashion trend more fluid than tie-dye. Even though it’s often styled to present a sense of nostalgia, designers this year showed the pattern off as a more sophisticated style than we’ve seen before. From sophisticated silhouettes by Tanya Taylor to more subtle iterations at Prabal Gurung and Eckhaus Latta, tie-dye is reaching new heights this season. This is not your grandma’s kind of crochet. This year, designers turned to a fabric that’s both comfortable and can make a statement. With a slight bohemian hint to make this style infinitely more stylish than your grandma’s handiwork, designers were clearly sending the crochet message across the runway. From Caroline Herrera’s ladylike cardigans to Oscar de la Renta’s boho iterations, your wardrobe won’t be disappointed. Copyright 2018 Annie Heyward, All Rights Reserved. Design by Courtney Tharpe.